Honey Blossom offers a unique variety of 100% raw honey with flavors straight from Mexico. As a 4th generation beekeeping family based in Northern Mexico, Honey Blossom is committed to providing all-natural raw honey to their customers. They dedicate themselves to harvesting an amazing rainbow of colors and flavors with each honey varietal and are committed to bottling every jar straight from the hive. The beauty of raw honey is that the bees’ environment has an influence on the natural flavor of the honey. 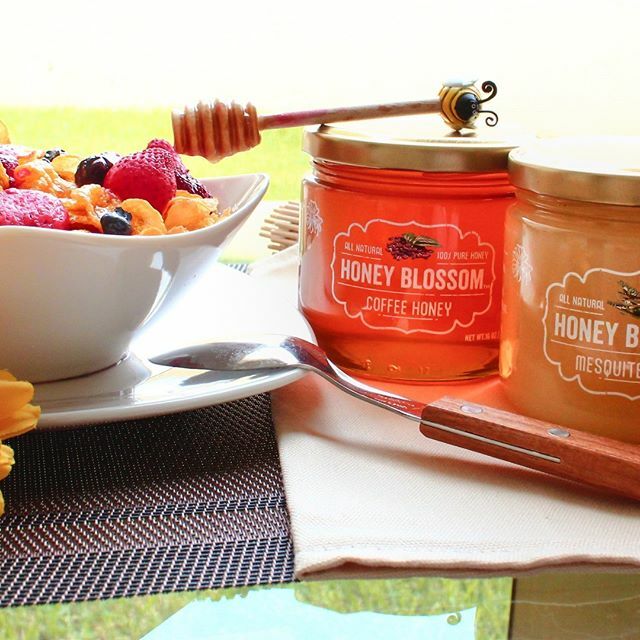 Honey Blossom is also jarred in a high quality, BPA-free glass bottle and comes in various flavors and sizes. This collection of honey is all-natural, raw, unprocessed, unheated, unfiltered, unpasteurized, unblended, kosher, with no artificial flavors, no gluten, no high-fructose GMO corn syrup, no preservatives, no artificial colors, and is direct from the hive. Honey Blossom is available in 10 unique flavors including a honey comb option and can be found at these fine retailers: Ross, TJ Maxx, Marshalls and Ocean’s State Job Lot. For information about carrying Honey Blossom in your stores, please contact Jay Johnson at jay@ambactusgroup.com. For more information about Honey Blossom, please visit their website at https://rawhoneyblossom.com or follow them on Facebook. © Ambactus Group 2019 | Designed by REVER</a?